AXIA Physician Solutions | T. Hayes Woollen Jr.
As we enter the transformation of our healthcare system from “fee-for-service” to “value-based care,” it is becoming increasingly important for physicians to have a trusted partner they can work with. While physicians agree that value-based care is imminent, many remain concerned about accepting risk for patient behaviors they cannot control. We expect that at least half of physician compensation will be tied to quality metrics and outcomes within the next few years. Aligning with a trusted partner that can work with them will be key as we look to the future of healthcare together. 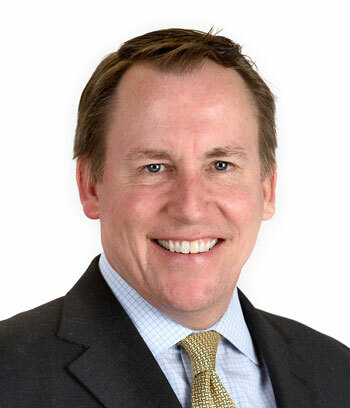 Thomas “Hayes” Woollen Jr., MD, MBA, brings myriad experiences to bear in his role as AXIA senior vice president and senior vice president of Novant Health Physician Services. He previously served as president and CEO of Novant Health Medical Group, a multi-specialty physician division of Novant Health, and served as executive vice president of Physician Services for Novant Health from 2005 to 2011. Dr. Woollen is a board-certified family physician, who has a special interest in emerging medical technologies, lipidology, executive health, and preventive wellness. He received his undergraduate degree from Davidson College, and received his medical degree from Bowman Gray School of Medicine of Wake Forest University in 1991. He completed his Family Medicine Residency Program in 1994 at the University of North Carolina Hospitals and served as Chief Resident in 1994. He received his business training at the University of Massachusetts, Amherst, and leadership training at the Harvard Business School.